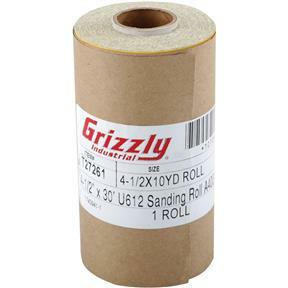 These gold level aluminum oxide sheet rolls from PASCO have fast cutting action, exceptionally long working life and uniform scratch pattern - simply roll off the size you need, cut, and get sanding! 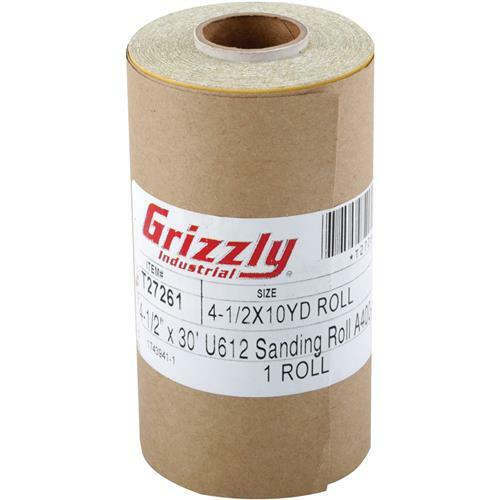 400 grit, 4-1/2" x 30' PSA roll. I took a few classes from some well known gun guys and they used this product. Therefore, I use this product! And thank you GRIZZLY for going the extra mile to get my order to me. There was an issue with shipping to GUAM with this last order, but the staff was really trying to get this order to me and eventually did. I love this kind of customer service. I look forward to buying all my shop stuff from Grizzly in the future. Thanks Again.